The fundraising race for Texas’ only competitive congressional seat is heating up. Freshman U.S. Rep. Will Hurd, a Republican, hopes to fend off a challenge from the man he defeated in 2014, Democrat Pete Gallego. WASHINGTON — The money race for Texas’ only competitive congressional seat is heating up. Freshman U.S. Rep. Will Hurd, R-San Antonio, raised about $511,000 in the first quarter of this year. This number far overpowers the $312,000 haul of his rival, Democratic ex-U.S. Rep. Pete Gallego of Alpine. The two men are squaring off for a rematch in November to represent the sprawling 23rd congressional district in southwest Texas. 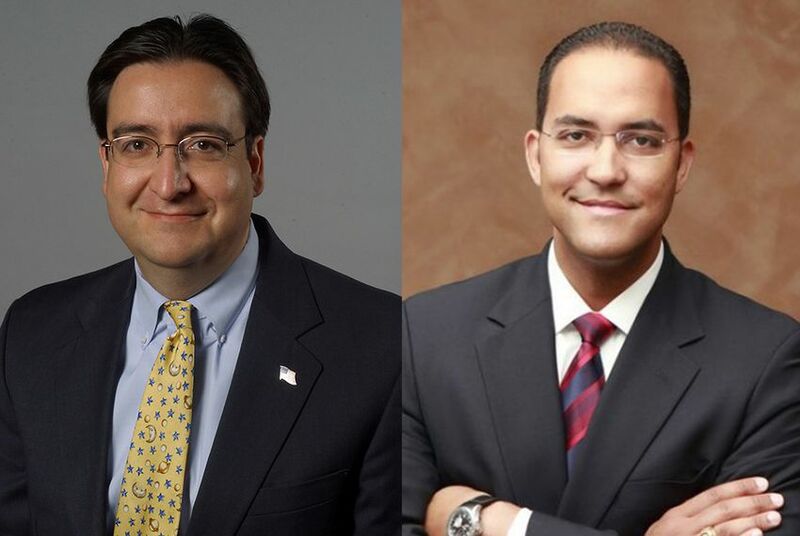 Hurd defeated Gallego by a two-point margin in 2014. Hurd raised $79,500 ahead of the Texas primary from Jan. 1 through Feb. 11. His campaign on Friday reported to the Federal Election Commission that he raised an additional $432,000 since then, for a combined $511,000. He further reported $1.35 million in cash on hand. It is Gallego’s strongest quarter since he entered the race. Hurd had a bigger quarter in early 2015, when he raised $529,000 in his first quarter as a congressman. Hurd is clearly leveraging the powers of incumbency, as he now has a more than two-to-one cash-on-hand advantage over Gallego. His reports also indicate he has hired two of the state’s top GOP fundraisers, Susan Lilly and Alison McIntosh. Several U.S. House colleagues also contributed to Hurd's campaign from their own coffers, including Texas Reps. Pete Sessions and Jeb Hensarling of Dallas, Bill Flores of Bryan, and U.S. Sen. John Cornyn, all Republicans. The district is incredibly competitive and will garner intense outside spending and national attention in the fall. But candidate fundraising will remain important in this race because federal candidates secure lower television advertising rates than super PACs and party campaign committees. Correction: An earlier version of this post misstated the time period of Gallego’s fundraising numbers.